The EKU Dual Credit Spring 2018 Orientation Powerpoint is now available to view online in the Dual Credit Packet. Click here to view the Orientation Powerpoint. Welcome to EKU Dual Credit!!! As you finish up your second week of classes, here are some helpful tips to start your semester out on a positive note! Congratulations, you have made it to mid-term! Here are a few important things to remember as you finish out the last half of Fall 2016. Please read this carefully as there is quite a lot of information included. Less than two weeks are left in the Colonel Countdown to the end of the semester! 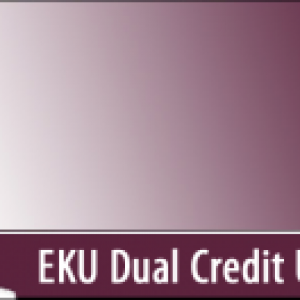 Please take time to review the EKU Dual Credit Update items of interest below. Should you have any questions, please do not hesitate to contact either Ashley or myself at 859-622-6532.